﻿ Come and ride with the MCN team at MCNLive! Come and ride with the MCN team at MCNLive! The ultimate biker party weekend is back! Great bands, stunning live action, a huge party and amazing value are all the ingredients for a phenomenal MCNLive, sponsored by Devitt insurance! 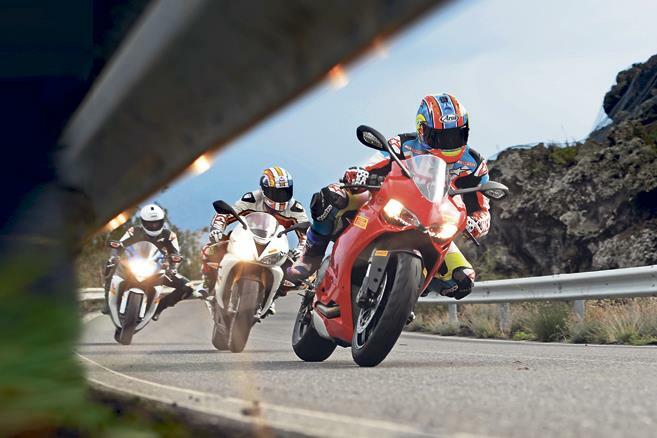 The MCN editorial team will be there on their long-term test bikes and leading the Saturday morning ride-out so come along to meet the team, see the 2014 bikes and have a party. Book early, come and join in the fun. You won't find a better-value weekend. Tribute bands such as BonGiovi, Hells Bells, Lorraine Crosby and Complete Madness have all been confirmed. The Steve Ferringo Band are on-board too and well up for a party so don't forget to pack your drinking trousers! Come to MCNLive! this weekend! MCN Live! 2016, book your place now! Have a blast at MCN Live! Take your bike down the strip at MCNLive!